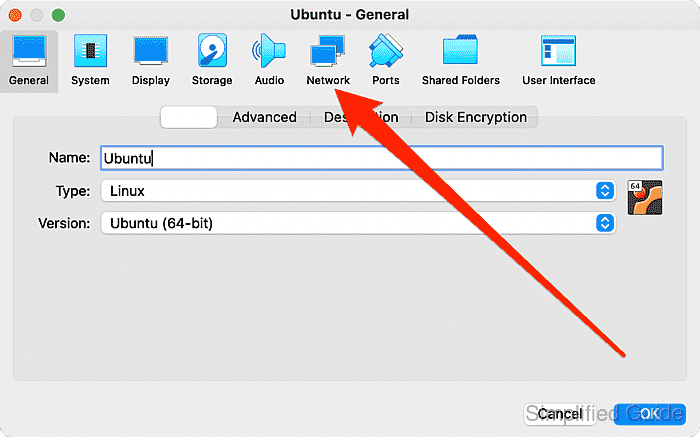 Go to Virtualbox's main interface and make sure the virtual machine that you want to configure is powered off. 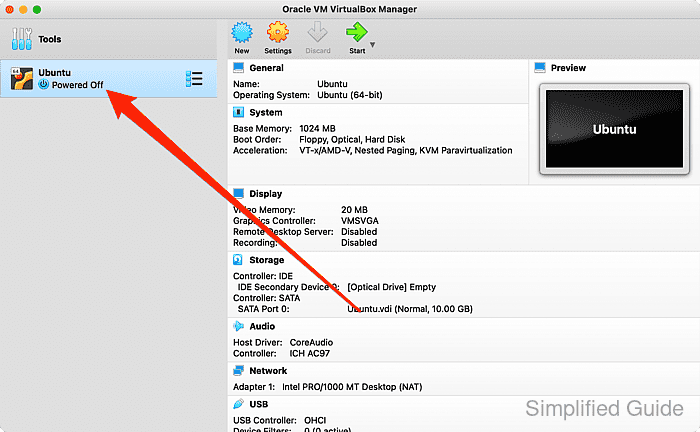 Select your virtual machine and click Settings icon on the top toolbar. 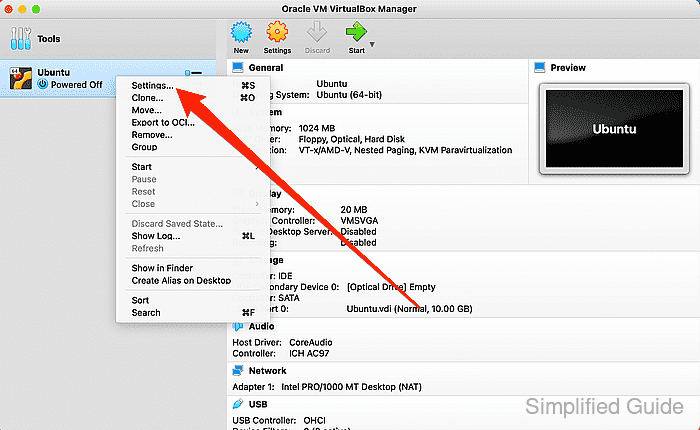 Alternatively, right click on the virtual machine and click Settings. Click on the Network tab in Settings main interface. Look for and click on Advanced text at the bottom of the window. 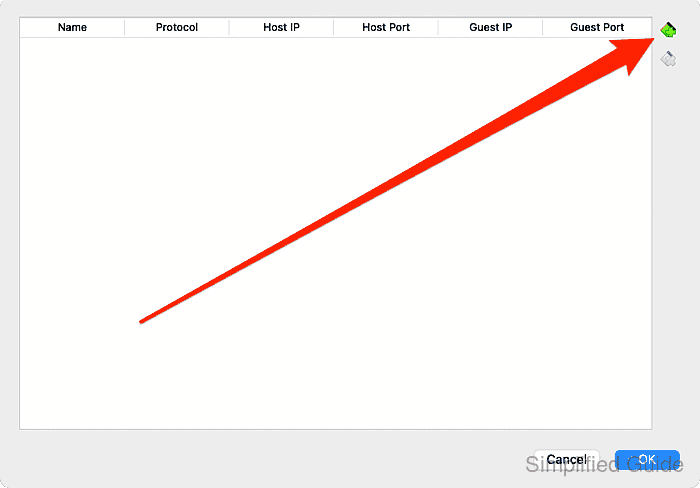 Click on Port Forwarding button. 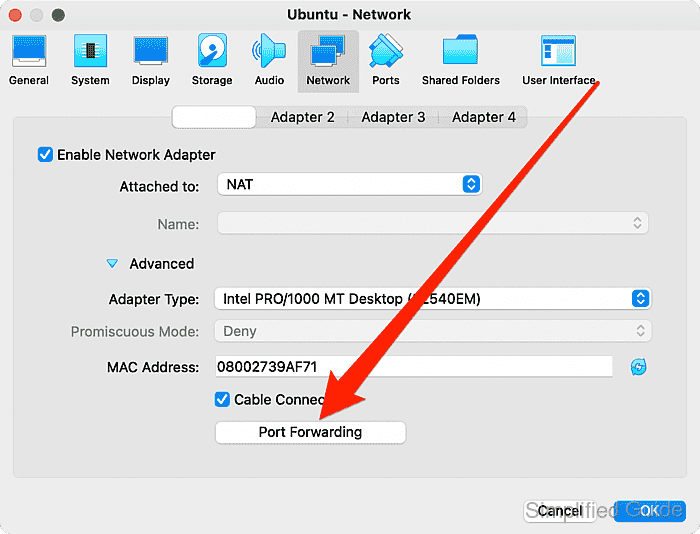 Click on the + icon on the upper right to add new port forwarding rule in Port Forwarding's main interface. Some of the fields are automatically filled up as the followings. Fill in the fields accordingly. 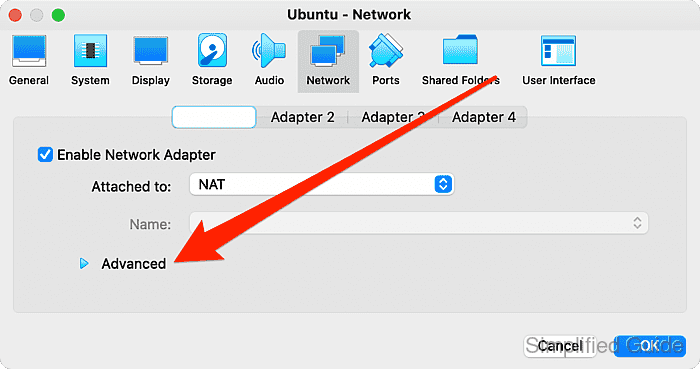 In this example, port 2202 in the host machine will forward to port 22 of the guest machine whereby 10.0.2.15 is the default IP for guest VM under NAT network. 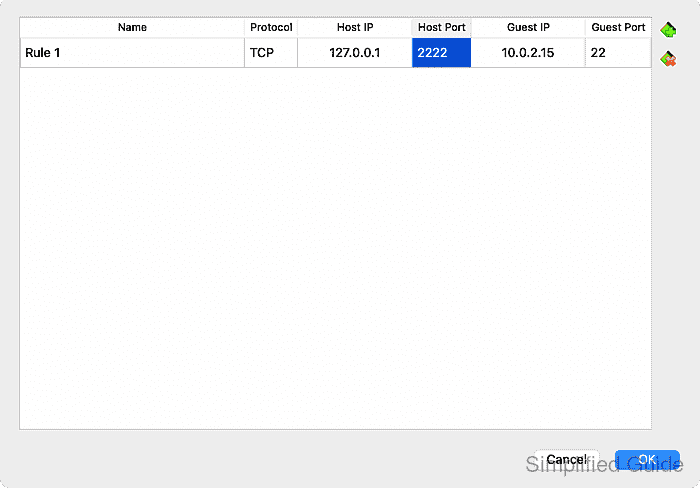 Leaving the Host IP field blank will default to 127.0.0.1 and Guest IP defaults to whatever the IP address is assigned to the guest VM. 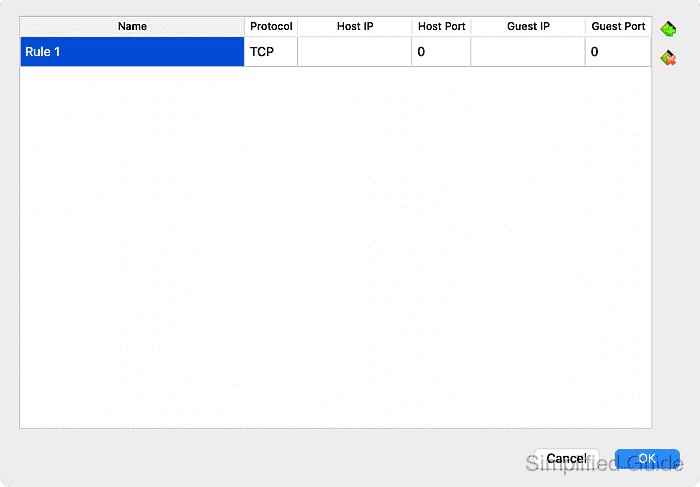 SSH is used to test the forwarding rule as SSH is listening on port 22 of the guest VM.